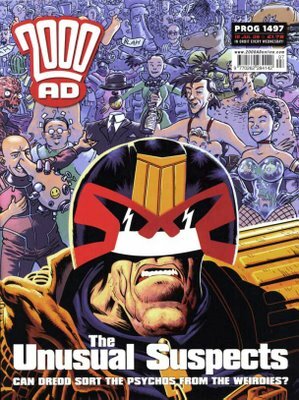 D'Blog of 'Israeli: Dredd Cover Out! 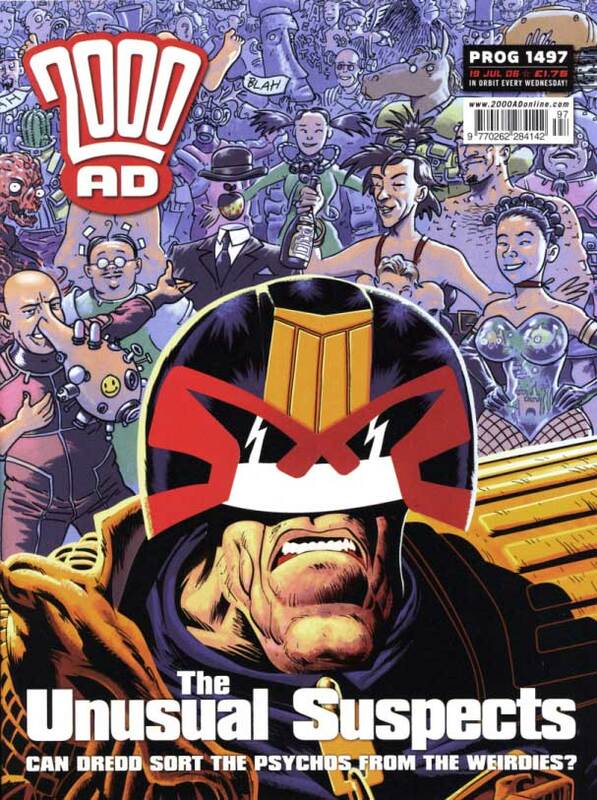 2000AD and Judge Dredd are trademarks of and copyright © 2006 Rebellion Developments Ltd. This image used for review purposes as defined by the Copyright, Designs and Patents Act 1988. Here it is, 2000AD Prog 1497, dated 19th July 06; it's for a new story featuring Citizen Snork, which is what I didn't want to give away by showing the background figures in earlier posts. 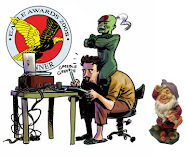 I was going to post an unlettered copy so you could see who I hid behind the 2000AD logo, but I realised on reading the comic that he doesn't appear yet, so I'll save that one for another week. Meantime you can have a go at spotting my Hitchcock-style cameo somewhere among the Weirdies in the background. If you need a clue, there's a picture of me here.